The Exercise Coach has carved out a niche for itself in that its scientifically designed workout allows its clients to achieve outstanding results. At first blush, it’s hard to believe that one can get a full body workout in only 20 minutes. What happened to the good ‘ole 45 or 60-minute workout sessions? Well, all it takes is one set of chest presses on The Exercise Coaches scientifically designed machines to quickly become a believer. The Exercise Coach has carved out a niche for itself in that its scientifically designed workout allows its clients to achieve outstanding results in just 2, 20 minute workouts per week through its personal training sessions. Using its proprietary fitness technology, The Exercise Coach is able to measure your unique muscular and metabolic makeup and prescribe the perfect exercise for you. A truly customized experience. Hard to believe, right? That’s what makes The Exercise Coach stand apart in the fitness industry. Whether you are a busy professional, a stay-at-home-mom that finds making time for herself difficult, an athlete that is looking to improve their strength/stamina performance, a person with disabilities, or a baby boomer that is trying to stay in shape, this workout is for you. The global fitness and health club industry generates more than 80 billion U.S. dollars in revenue per year. With the United States being the single biggest market worldwide not only in terms of revenue but in regards to the number of members in health & fitness clubs as well. 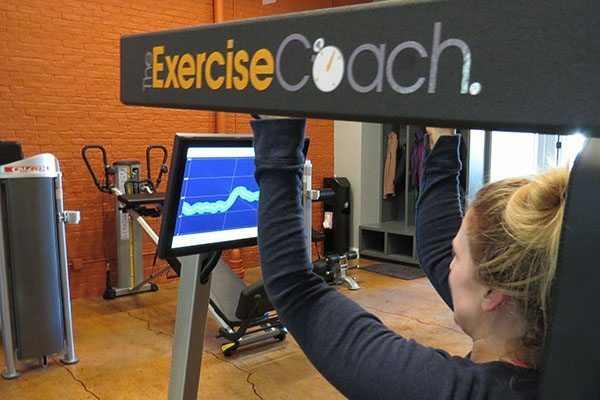 The Exercise Coach uses an Exerbotics Intelligence Platform that tracks each workout and stores clients’ data in a safe and secure manner. 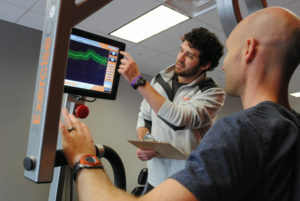 This technology then allows clients to track their progress from session to session all backed by scientific data. Not only that, but on their specially designed equipment, you can track each rep you do against your baseline holding yourself accountable to do your best each and every time. The Exercise Coach Workout has been designed for individuals of all fitness levels and almost all ages. Its primary clientele base, though, tends to be the busy professional and the 55+ baby boomer generation. According to Men’s Health, some of the top fitness trends in 2018, and we continue to see in 2019, including desires for personal 1:1 training, functional fitness, strength training, and fitness programs for older adults. The Exercise Coach hits the mark on all of these fronts. Semi-passive, passive ownership allowed under certain conditions. Multi-unit developer options are available. Minimum financial requirements include $75k liquid cash and a $150k minimum net worth. Total investment range: $89k – $297k. The Exercise Coach Workout has been designed for individuals of all fitness levels and almost all ages.